There’s just a few short days left on my own campaign, and it looks like several people have also had success this month! (If you like miniatures, you should definitely take a look at the campaigns at the bottom of this post) But don’t think that just because a campaign has been funded that the creators don’t still need your help. Many of us set a minimum goal, but the projects can be as big and far-reaching as the supporters want! What’s on Tap Right Now? Conventions are the best way to get involved with the Steampunk scene. There are information sessions on how to make things, awesome performances, great people, and fun activities. But, they are also expensive and time-consuming to attend. Tickets, room, board, and getting there can all be barriers to getting in on all the fun. Basically, if you don’t already live in the town that is hosting a convention you can spend hundreds of dollars just to go to one. What if there was a good fairy who wanted to bring the convention experience right to your inbox? Through regular updates, videos, blog posts, tweets, and the SteamFest Gazette newsletter, I plan to do just that! The Gazette will feature articles about the sessions I attend, pictures of the amazing cosplay I encounter, interviews with the movers and shakers of Steampunk, and reviews about each convention to help you decide if you want to attend next year. My favorite reward: $10 for a super cool pin emblazoned with “United we Steampunk, Divided we Fall” or the newsletter and choice of sticker or postcard from one of the cities visited. Frederick Maryland is home to the only Penny Farthing, also known as a high wheel bicycle, race in the United States. We are creating a Steampunk event in the town of Frederick, Maryland on the same weekend as the race so that visitors and patrons can enjoy both the race and the many Steampunk shenanigans, including music performance and other such fun. This will be a Summertime Steampunk event, so cool attire (figurative and literal) is a must! Your creativity will be rewarded with much peer approval. When Kane gets chosen for the Forge, his first thought is that he’s about to become one of the Garrison Cities’ heroes, but his first encounter with the Darksteel teaches him that heroism is not all it’s made out to be. As a member of the Order of Iron, the Blades’ recruit Order, Kane was supposed to have at least eight years ahead of him before facing conflict of any sort, and he would have, if the centuries-old war against the Darksteel wasn’t about to change. Kane and his friends quickly find themselves thrust into the center of a seven-hundred year old war. Between fending off coordinated attacks from a rapidly evolving enemy, his classmate’s odd connection to the Darksteel and saving his best friend from her own family, Kane’s life is about to get a lot more complicated than he’s ever bargained for. Conceived by indie comic book and animation sister-team, Shawnee´ and Shawnelle Gibbs, “The Invention of E.J. 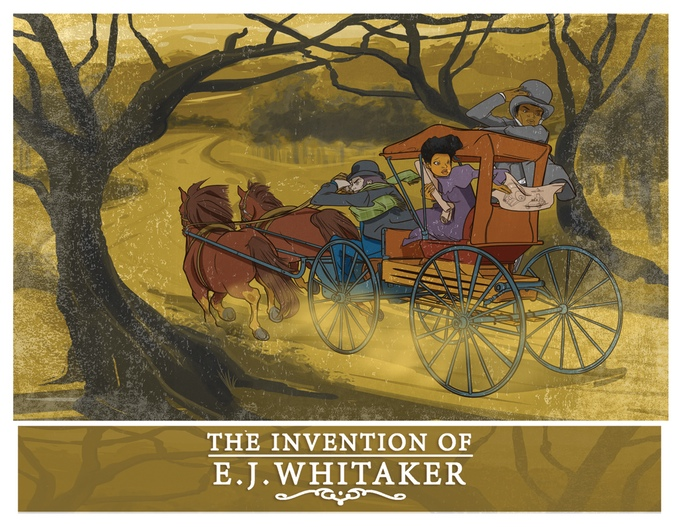 Whitaker” is a 24-page comic book tale mixing elements of Adventure, Historical Fiction, and Steampunk to tell the story of one heroine’s epic journey through the dicey cultural and gender land mines of the early 20th century to become a bonafide inventor. My Favorite Reward: $25 pledge gets you a huge package of stuff, including a physical copy of the comic and specially-composed theme music. STEAMBITE is an action-packed Zombie Western with Steampunk flare, currently in pre-production. STEAMBITE has an original page turner of a script, that will translate on screen to a film filled with flesh eating zombies, villains you love to hate, gun-slinging action, and most of all – a story with heart, that is worth telling. My Favorite Reward: $10 pledge gets you a digital copy of the film, plus character posters and artwork. In a metal-riveted palace, covered in a heavy layer of coal dust, lies the Steam Court. In this 2–6 player card game, players act as engineers attempting to build machines (take tricks of cards) in order to impress the Queen and her royal court. The Courtiers grant their Engineers unique privileges, which players can use as they work their way up the social ladder and collect victory point gears. Black Maria Designs started as two guys looking to build things for tournaments and friends. It has been around for 1 year as a side project with the hopes of building some of the best terrain for the games we love to play. We managed to generate a lot of buzz with our 40k displays and Infinity table for NOVA Open 2015 (We won best Infinity table). 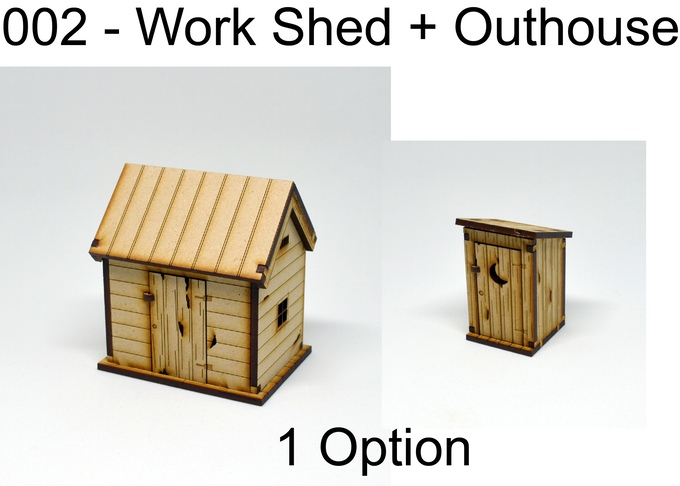 We opened our online store specializing in the laser cut terrain and markers we use for our own gaming. So how does this get us to our current state with this Kickstarter. We both play a certain western/horror/steampunk game and want to make terrain that people would want to use on their own table. Something that will really bring the games to life. Twisted is an immersive new tabletop skirmish game for 2 or more players, with a world-class range of 32mm miniatures representing your characters. Set in an uniquely interesting steampunk universe, Twisted’s absorbing gameplay and linked story-driven missions create a real emotional connection between you and your characters on the tabletop. Every character has an original backstory and distinctive role within the Twisted universe: guiding them through our richly-developed environments and exciting encounters will have you on the edge of your seat and wanting more! But beware the power of the Engine! The ever-present influence of the mysterious steampunk Engine pervades the world of Twisted. What makes playing Twisted excitingly unique is that the Engine itself brings a new and intriguing element to every encounter: the Eye of the Engine card deck and the unique ‘Favour of the Engine’ game mechanic give the Engine an active role in the actual gameplay. TabletopGamer.com is proud to announce our very first Kickstarter campaign! With this campaign we are launching a fully modular Victorian Steampunk tabletop terrain system for 28-32mm tabletop games. We designed this terrain project with the intention of making it fully modular, so that you can use it in a large variety of different scenarios with your favorite tabletop game. Phoebe Darqueling is a soon-to-be published author who is inspired by Steampunk, and though she may currently reside in California, her heart will always belong to Minnesota.